Happy anniversary. Whether you’ve been married for 10 years or 60 years, you have found the value in a long-lasting relationship. To honor the love, work, and sacrifice that has gone into this rewarding relationship, commemorate your love with an anniversary ring for your wife. This Fall, anniversary rings for women are in a variety of beautiful styles. Some styles are contemporary and some styles are vintage. Rest assured, no matter who your wife is, you can find an anniversary ring that matches her personality. Some anniversary rings for women are modest, tasteful, and reasonably priced. 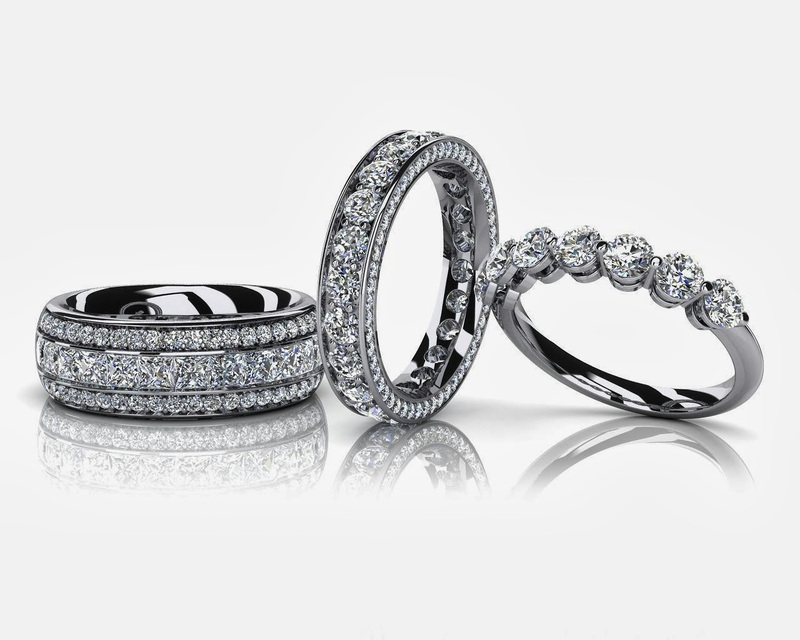 These anniversary rings often have a yellow gold or white gold band that boasts a row of ¼ carat diamonds, or even just one diamond in a beautiful setting. Other diamond anniversary rings are a little more elaborate, such as rings that feature sapphires in bezel or prong settings. If your girl loves style, some anniversary rings for women will be perfect for her, especially those referred to as “red carpet” rings. Stylish “red carpet” rings weave rows of diamonds in and around the top of the band in prong settings of diamonds at about .46 carats each. Some bands display swirls of diamonds in prong settings, and yet others boats simple rows of diamonds. If your girl prefers the vintage look, some anniversary rings for women feature clusters and rows. These rings can have settings cast and intricately designed around three beautiful stones, or they can be rows of beautiful stones in a slim or wide band. FTC Disclosure: This is a sponsored post that was provided by Anjolee.